Keeping on track with my health goals is really important to me. Looking after my wellbeing equips me for all aspects of my life and the daily challenges of being a busy working Mum. I’m incredibly lucky to be blessed with a network of wonderful supportive friends, one of which is Vicky. She is most definitely my accountability partner and helps me stay on track. I absolutely love her for it! 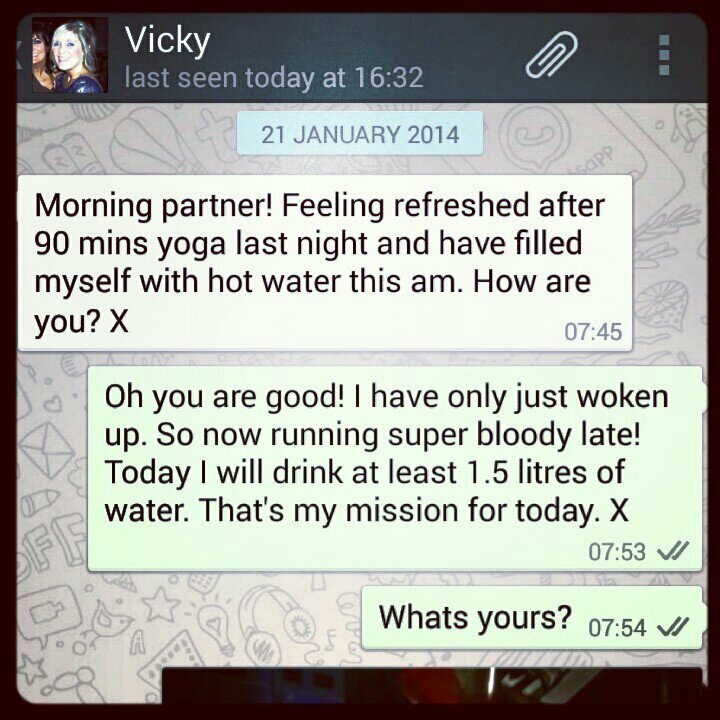 Today I have had my 1.5 litres of water (in fact, I’ve had more) and it’s definitely thanks to Vicky. Having supportive friends and looking after my health = happy!